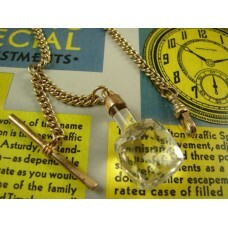 Pocket Watch Chains and Straps. 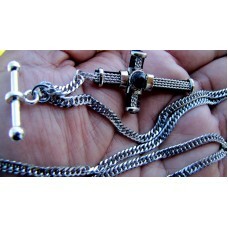 This is a category for other Pocket Watch Chains and Straps. 20 Inches Long Custom Made Solid Pocket Watch Chain Cross Fob20 Inches Long Custom Made Solid Pocket.. 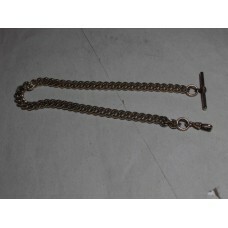 Heavy Huge 51 gram Gold Filled Antique Watch Chain. Heavy Huge 51 gram Gold Filled Antique Watch Chain.The Chain has Giant Links and is in Nice Conditio..
Pocket Watch Chain Gold Plated 39cm in Length. 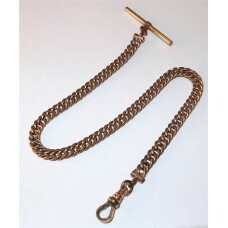 Pocket Watch Chain Gold Plated 39cm in Length.Gold Plated Pocket Watch Chain 39cm in Length, the Pic..
Victorian Rose Gold Filled Wide Curb Link Pocket Watch Chain w/T Bar Signed S&C. Vintage Pocket Watch Cain Yellow Gold Fill Fancy Glass Pendent T-Bar 12"
Vintage Pocket Watch Cain Yellow Gold Fill Fancy Glass Pendent T-Bar 12" Here is a 12"..